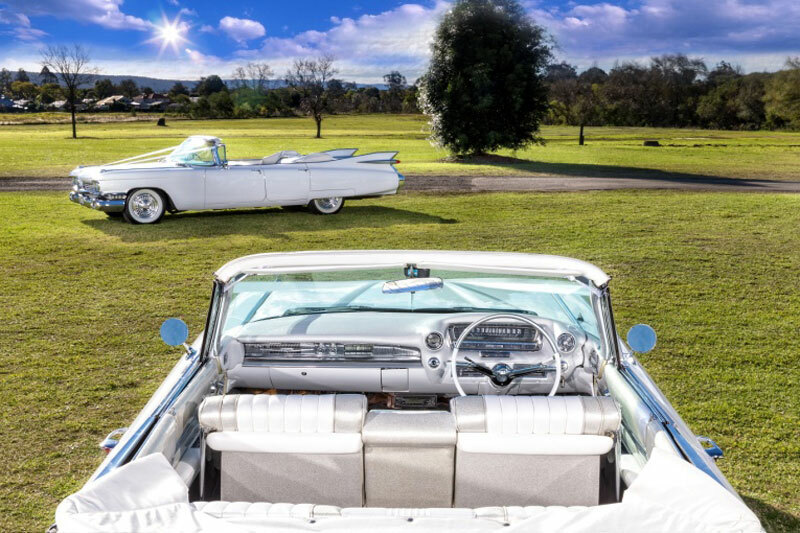 Sydney's only completely matching White 1959 Cadillac's. 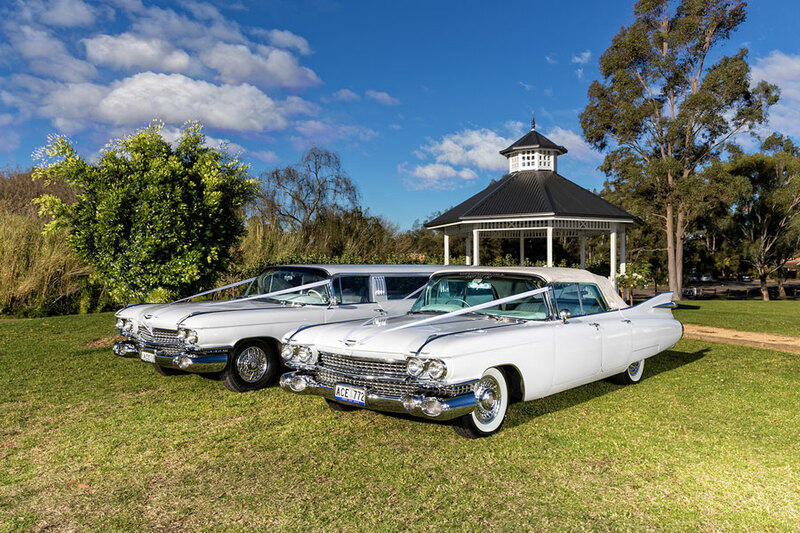 Our fleet comprises of three identical white 1959 Cadillac Convertibles and a 1959 Super stretch Limousine so we can cater to any size wedding party. 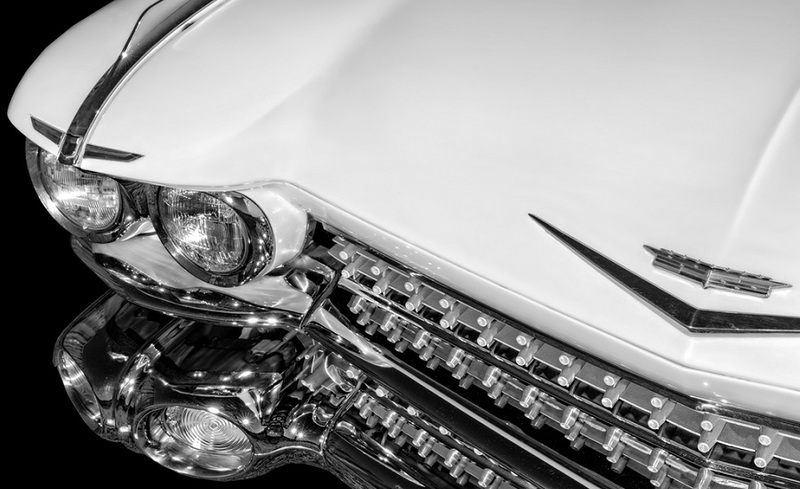 We can supply 3 white Cadillac's all convertible giving you the best of both worlds, get in effortlessly , have the top down and get the most of those in car shots or travel with the roof up to protect you and your hair from the elements. 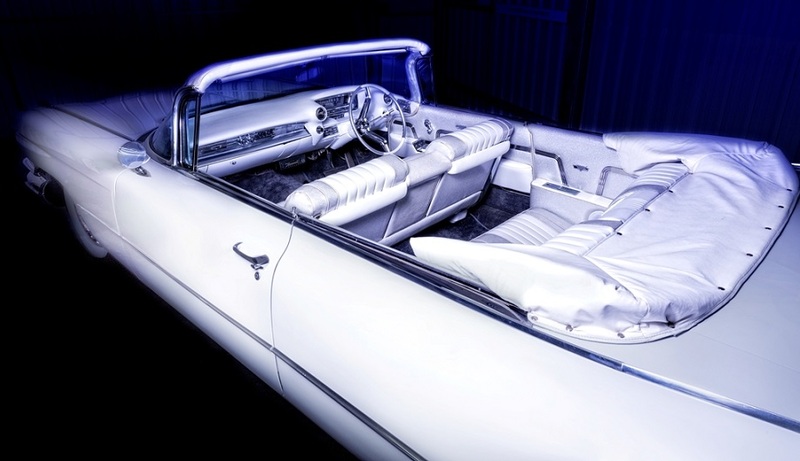 Our convertibles seat 5 passengers comfortably in our white and glittery silver interiors. 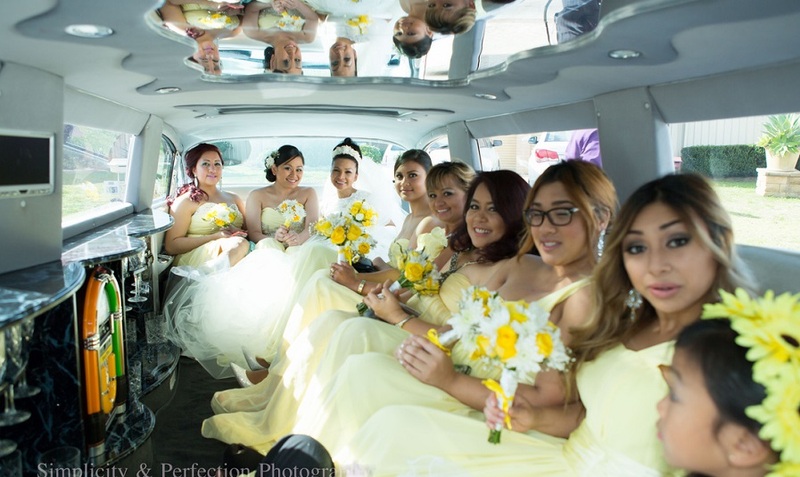 With three passengers in the back, two in the front plus driver, The trim looks spectacular in photos they complement any dress colour providing glamour and style. 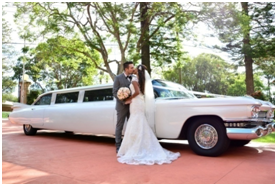 The 1959 Cadillac Super stretch limousine is the only one in Sydney, with all the modern comforts of a new model limousine but all the style and elegance of a 59 Cadillac, it has a seating capacity for up to 10 Passengers making it perfect for big bridal parties. 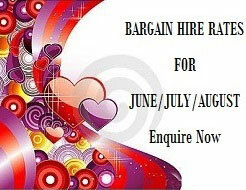 Air condition, 2 LCD screens, Full size bar, Moon roof, Fibre optic ceiling, juke box, sound synchronized lighting and novelty horn. 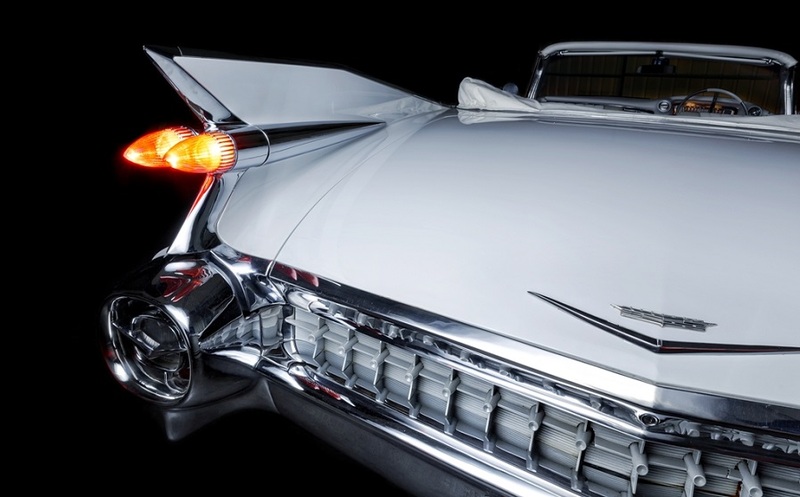 An amazing compliment to our 1959 Cadillac Convertibles. 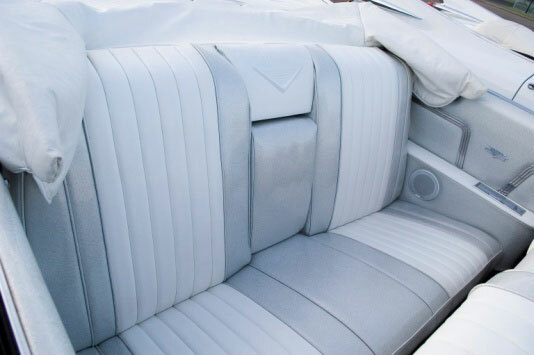 White and glittery silver interior. 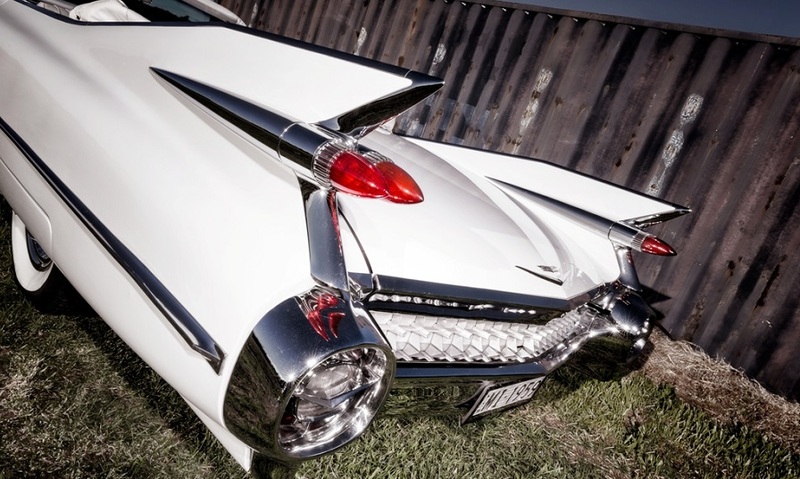 By far the most popular and sort after model is the 1959 Cadillac you can see its main feature is style, giving it its unique presentation.